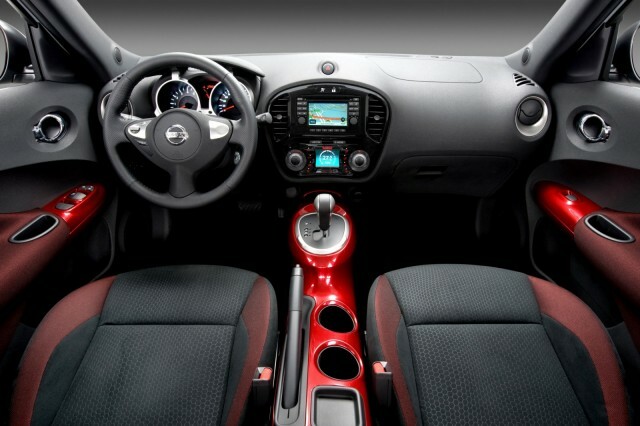 You may have already seen the 2011 Nissan Juke during its world debut at the Geneva auto show or possibly you read our partner site’s article over at CollegeCarGuide.com. Or possibly this is you first time hearing about Nissan’s next crossover vehicle. 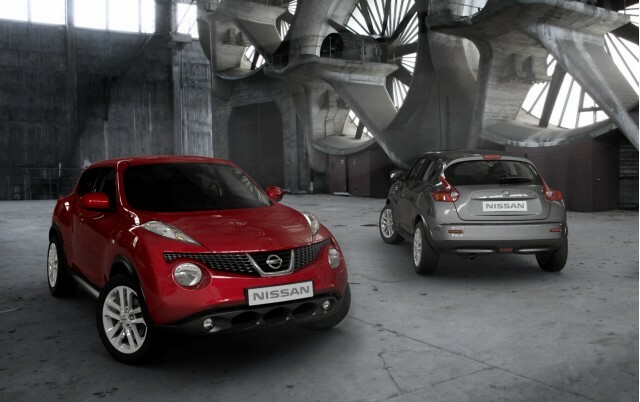 No matter what category you fall in, we can probably agree on one thing—the Juke is unique. This new compact crossover will make its first U.S. appearance at the 2010 New York Auto Show this week. Along with this appearance come more details on the U.S. version that consumers could expect to see as early as this fall. For the states, the 2011 Nissan Juke will be powered by a new turbocharged 1.6-liter gasoline direct-injection four-cylinder engine. Quite a mouthful, huh? Despite the long description, this engine will net out 180 horsepower and 170 lb-ft of torque and be matted to either a front-wheel or all-wheel-drive drivetrain that will include the Xtronic continuously variable automatic transmission. The 2011 Nissan Juke is being positioned to start just under $20,000, but will likely be in the high 20s if you opt for the leather, smart key, power moonroof and navigation system with realtime traffic information. Nissan hopes that this will be an entry-level crossover for those looking for something smaller than the Rogue that has similar capabilities. The all-wheel-drive system will be great for inclement weather climates. Be sure to check out our other recent articles here at AllSmallCars.com like: Chevrolet Cruze Eco and Fiesta Movement Chapter 2.